Flights are getting back on schedule in Moscow’s main airports, with power returning to one of the capital’s worst affected, Domodedovo, following a 12-hour blackout. However, there are still thousands at Domodedovo airport waiting for their flights, one witness told RIA Novosti. He added that lights in the premises remain dim. There is also a long traffic jam leading to the airport and the square in front of the facility has turned into a huge parking lot. On Sunday, over a hundred flights to and from the airport were cancelled, while others were diverted, after freezing rain ruptured electricity cables. All planes heading to Domodedovo were redirected to several other airports, including Sheremetyevo and Vnukovo in Moscow. 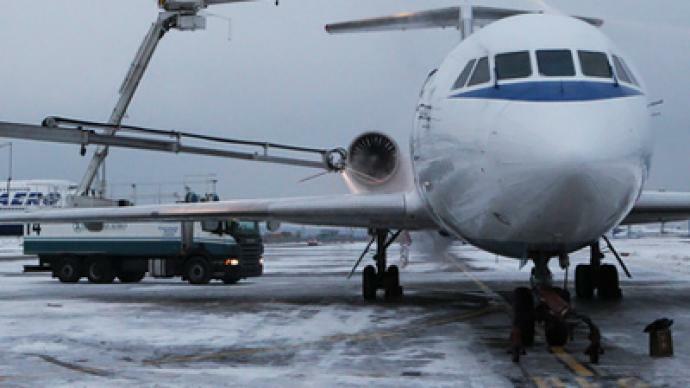 Meanwhile, Sheremetyevo airport itself had to cancel some sixty flights as the runways had frozen over. Representative of the federal air traffic agency Rosaviation, Sergey Izvolsky, told RIA Novosti that Domodedovo Airport had to suspend over 100 flights, which were scheduled to carry over 8,000 people. According to RT correspondent Sara Firth, who was reporting from Domodedovo, the situation at the airport was absolutely chaotic, with crowds of people walking around with their suitcases and not being able to leave. Domodedovo airport’s official website went down several times after being unable to cope with the large number of visitors trying to find out the latest news about flights. The special hotline introduced by airport authorities on Sunday was constantly busy. The blackout was not affecting flight safety, as navigation systems have their own electricity supply. "We have reserve diesel generators, which were maintaining the operation of the runways, light signaling, flight control and navigation equipment," Elena Galanova told the Vesti-FM radio station early on Monday. However, all facilities inside the airport were down, making operations impossible. Roads and cars in the capital are currently covered with ice after rain that started on Saturday froze solid. At least 20 people have reportedly been injured by falling trees. 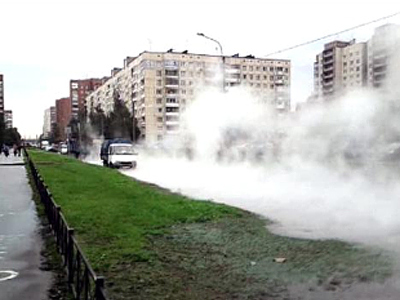 Because of the weather, several regions in central Russia were left without power, with reports of over 400,000 people affected during the day. 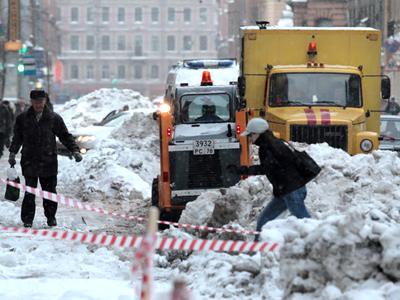 According to Russia’s Emergencies Ministry, 52,000 of its people are working to eliminate the consequences of the bad weather. 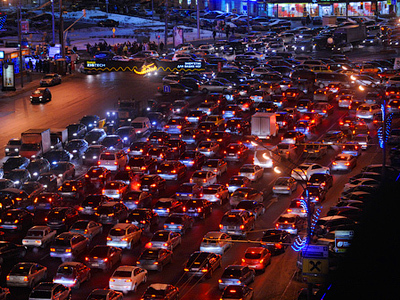 Russian Prime Minister Vladimir Putin ordered the mobilization of all forces to fix the transportation situation. 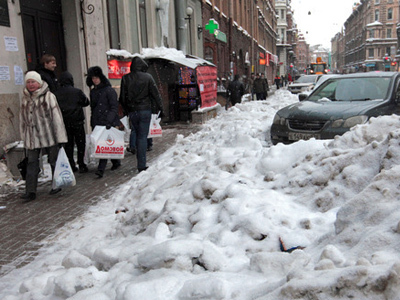 While the bad weather persists, Moscow authorities are urging people to stay at home.